Why Did I Listen To The Queen Of Hearts by Kimmery Martin? 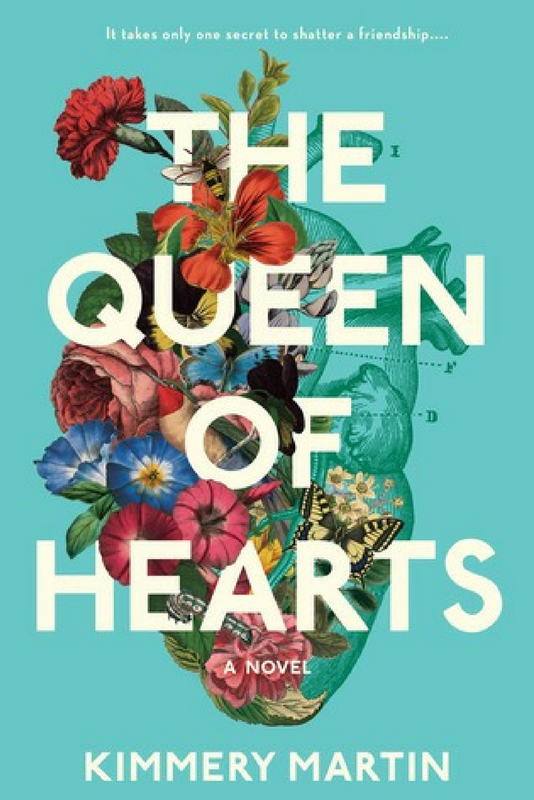 The Queen Of Hearts by Kimmery Martin was one of several holds I put in at once. And it so happens that apparently my library audiobook taste twin must have returned all of the books I had on hold at the same time. So, I began to marathon listen to this book. Friends, I was so EXCITED to get into this book. I love it when there is drama. I also love it when there are big secrets. Plus, that cover 100% is an April kind of cover. Also? I never read medical dramas and I LOVE LOVE LOVE experiencing new to me genres via audiobook. Kimmery Martin’s debut book follows two main point of view characters – Zadie and Emma. Both women are doctors – one is a trauma surgeon and the other is a pediatric cardiologist. Both women became friends basically at this medical camp while in school. They then go on to do their residency together. Now they both live in Charlotte. The Queen Of Hearts goes back and forth between 1999 and present day. Slowly, the story reveals a dramatic past between the two women and regarding this man called Nick or Dr. X. Nick basically caused some awful stuff to go down. Anyways, Nick is now in Charlotte, and this history is about to come back up. Both women must reckon with the past while also dealing with tragedy in the present. We get to see their home lives, their current careers, and get this well rounded picture of both women. The Queen Of Hearts by Kimmery Martin is just a fantastic read — it is engaging and had me definitely on edge. I will admit there was one scene where I was kind of angry I was driving while listening. Mainly because I was overcome with all these emotions. Friends, I am so glad I stepped outside my normal genres to try something new. Granted, there’s some themes that are familiar. After all, this is story of friendship, forgiveness, life, death. The medical bits don’t comprise the entire story. Now I find myself ready to listen to whatever Martin comes out with next. The audiobook has two narrators — Catherine Taber and Shannon McManus. One narrates the Zadie chapters. The other narrates the Emma chapters. I could not tell you which was which though. Honestly, they did such a good job with the narration. I found myself going back to the eARC to attempt to flip ahead to prepare myself for the more emotional parts (FYI that did not work out too well in the end). So, I did confuse Emma and Zadie a little bit when my attention wandered. However, that was a thing that was few and far between while listening. For real, this audiobook is one you should put on your MUST LISTEN list. Thanks for the link up! I’m glad you enjoyed this one!